For those who are well-versed on their celebrity gossip, you’ll know there are reports Justin Bieber and Selena are back together. The two have been spotted going to church together, going for milkshakes together and holding hands in public. Selena had just split up with her beau The Weeknd before seemingly rekindling the romance between her and her ex Justin. Well what better way to get over the breakup than to get on the phone to Justin Bieber‘s ex Yovanna Ventura? A source has told US Weekly that The Weeknd, real name Abel Makkonen Tesfaye, have been ‘getting cosy’ with the model at a mansion in Beverly Hills. The Weeknd was there hand in hand with Yovanna Ventura all night. They arrived together. They were holding hands. He was there for a solid two hours with her and everywhere they went they held hands. He was parading her around. He was trying to make it obvious that he was with someone. They were pretty affectionate and were together the entire night. Yovanna Ventura is a 21-year-old model who dated Bieber back in 2015 around the time it was rumoured the superstar was hooked up with Kylie Jenner. Bieber and Gomez had reportedly reached out to each other following Selena’s kidney transplant back in June. Selena had been laying low for a few weeks over the summer, which led to some fans speculating the reason for her absence. 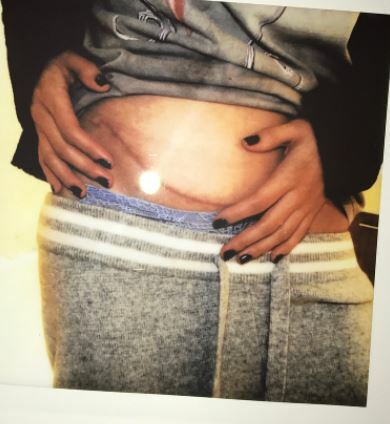 It turns out Selena urgently needed a kidney. And finally, there aren’t words to describe how I can possibly thank my beautiful friend Francia Raisa. She gave me the ultimate gift and sacrifice by donating her kidney to me. I am incredibly blessed. I love you so much sis. Bieber visited his ex-girlfriend in hospital as a friend and reportedly they started hanging out together. Who knows how they feel about this latest news?